The subtle clinking of glasses, soothing music playing at the backdrop, spotless white linen laid out neatly on the table, mellow lights setting the mood for the night, a terrific view of the sea or the entire city before you, masterfully prepared food, the best of liquors from across the globe, and a waiter to diligently attend to your needs - this is undoubtedly fine dining at its best. But then you suddenly see the otherwise calm demeanor of the waiter changing (to the point of irritation), and you glance across to learn the reason - it is to do with a well-suited diner on the other table flailing his arms and waving out to the attendant to get his attention (almost like he's in a sinking boat). Indeed, dressing up well isn't the only fine dining etiquette. Let me share one of my personal experiences with you that made me start paying attention to dinner etiquette. Not so long ago, I was having lunch at a fine dining restaurant to celebrate an occasion and midway through my meal I got up to use the washroom. By the time I returned, the waiter had cleared away my plate. My anger gave way to bewilderment when he smiled at me courteously and asked me if I'd like to order dessert; making me wonder if getting up from the table somehow indicates I'm done with my meal. Later, I figured out it had something to do with the placement of my napkin, yes! Flailing your arms impatiently to catch the waiter's attention is not going to make him sprout a pair of wings and swoop down to you. Just make eye contact and slightly raise your index finger - that should do the trick. Speaking in monosyllables and looking down into the menu card while talking to the waiter is also extremely rude. Everyone's dying to get a table at a popular restaurant but you've been smart - you've made reservations. However, don't expect too much if you arrive for a 7pm reservation at 7:30 pm. Being punctual only reflects on how much you value time. 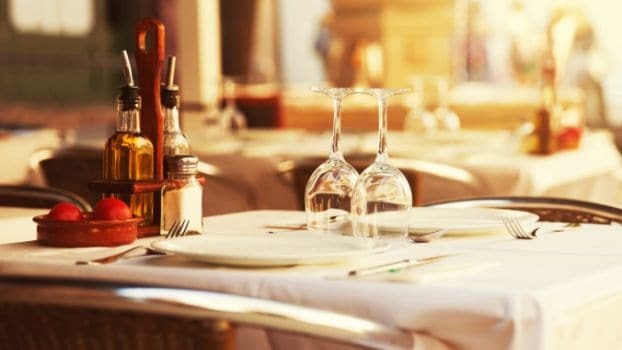 Pria Warrick , a renowned Image Consultant and Founder of Pria Warrick Finishing School in New Delhi says, "In fine dining, irrespective of whether it's a professional or social setting, it is essential to know the likes and dislikes of your guests beforehand. 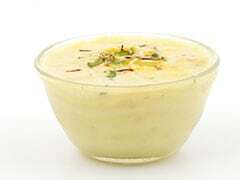 Something as basic as entertaining foreign guests in a restaurant where Indian food is served, advising them to eat with their hands may not be a wise decision. It should be avoided because they may not be comfortable with it." Always let your guest order first and try to order the same number of courses as him or her. While ordering wine, know better than to announce the price range you're looking for. You could always read about a good list of wines and what sets them apart. If the dishes have fancy names that you can't decipher, there is no harm in asking the waiter what the dish comprises of (don't shout later when they serve you something unexpected). Let them know about any allergies that you may have beforehand too. It is essential to know where to place your napkin. While you're at the table, enjoying your meal, place the napkin on your lap. If you excuse yourself to go to the washroom, leave the napkin on your chair. When you are done with your meal (or a course), neatly place the napkin on the left side of your plate on the table. 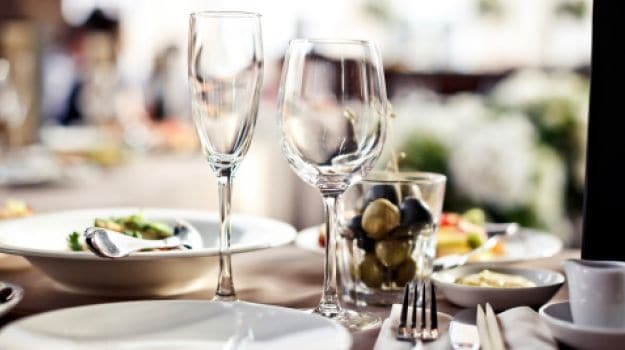 Founder and Etiquette Trainer at Academy of Etiquette Internationale in New Delhi, Sunaiinaa Arora tells us that the arrival of international cuisines in India has gotten every one used to eating with forks and knives but very few know the intricacies of handling cutlery. She specifically recommends, "hold the knife at an 80 degree angle to cut the food better and the knife should always be in the right hand." 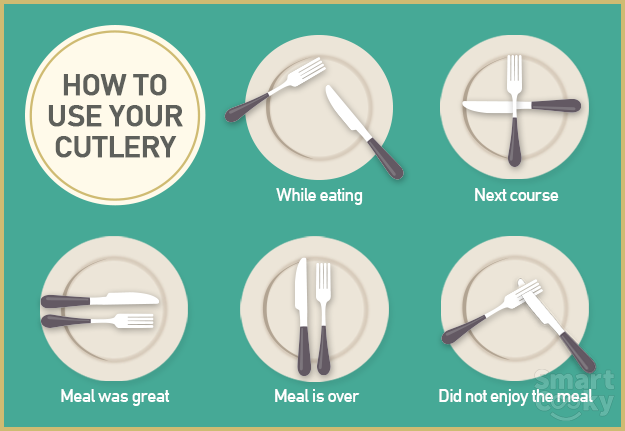 Once you have commenced a meal, it is improper to let any part of your fork or knife rest outside the plate. While resting they can be placed in an inverted-V position; when you finish your meal place them together in the 10:20 position on your plate. 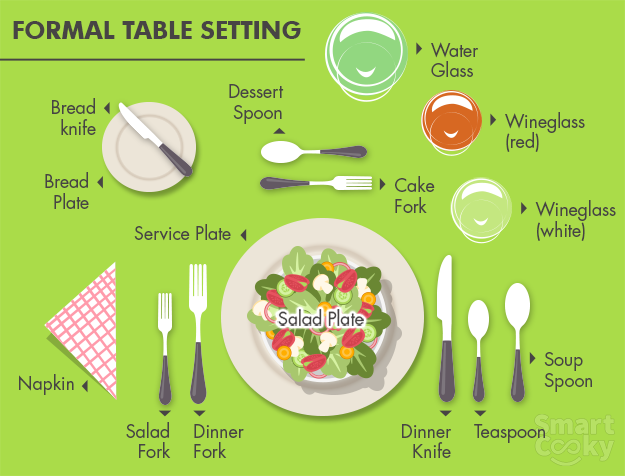 If the cutlery on the table includes multiple forks and knives, go outside-in with each course. 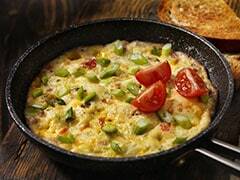 Start with the ones farthest from the plate and work your way towards it as your meal progresses. A large number of habits have fallen out of the loop of good table manners. It is essential to sit upright and keep our elbows off the table. When drinking from a glass, keep your eyes directed into the glass, not at everyone else in the restaurant. If clinking glasses to say cheers, make sure that you look your companion in the eyes when you do so. Pria Warrick spoke to us about the mantra of fine dining, 'Eat with left and drink with right,' which at the outset, contrasts with what Indians are habitual to. "The bread and butter plate is always on the left and all glassware on the right." This will ensure that you don't bump elbows with your guests (or worse, break some china) while enjoying your food.